wondering if there would be alot of lag with the turbo and when would it start coming on boost? 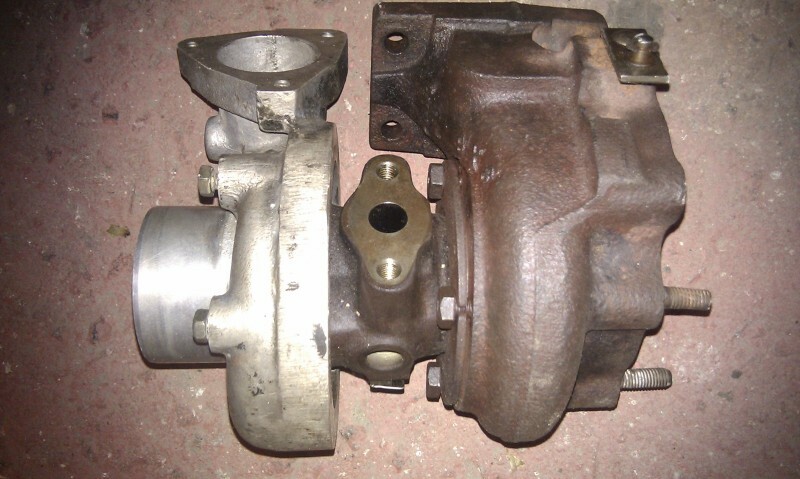 sounds to me like a t25 from a CA18DET as far as i know they are basically a hi flow t2 , i which case the lag will be very minimal and should be a good match . Get some pics and wheels sizes and i can compare to my t2. found this old photo, i used to run .48AR turbine with the hi-flowed wheel and full boost (10psi) at 3200rpm . 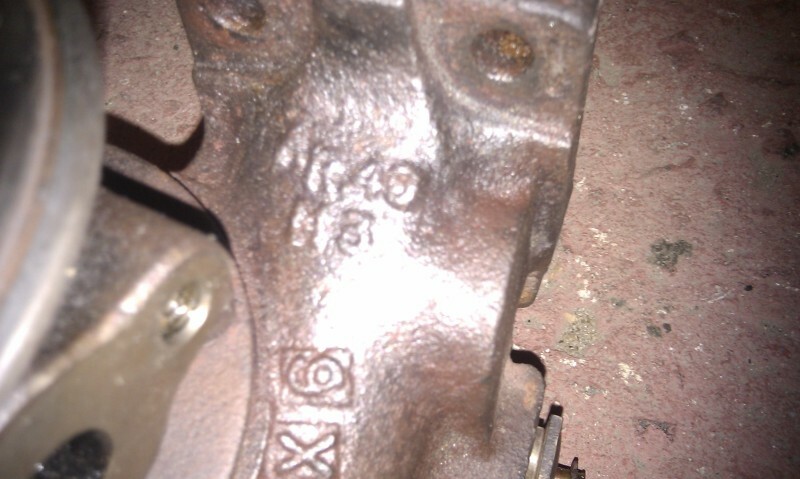 yep first turbo is from a CA18DET is the same as the Hi-flowed T2 for size full boost will be somewhere in around 3000-3800rpm at a guess (depending on boost) second one im not 100% sure what is. 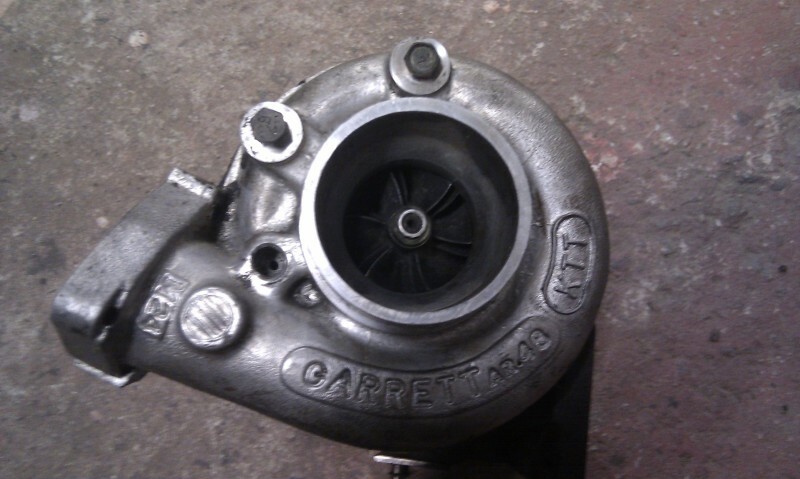 I have seen the CA18 turbo make 130hp ATW on a 1293cc turbo (15psi) so i think it will a great choice. 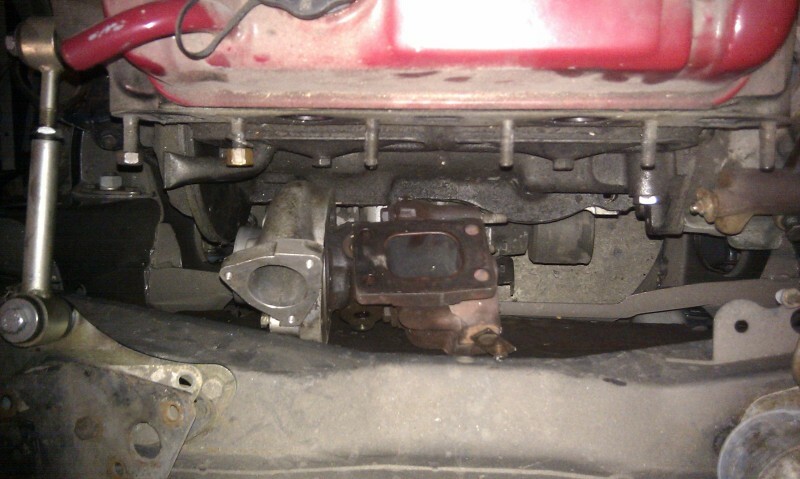 you will have to mount the actuator on the other side , i welded a bracket to the manifold . 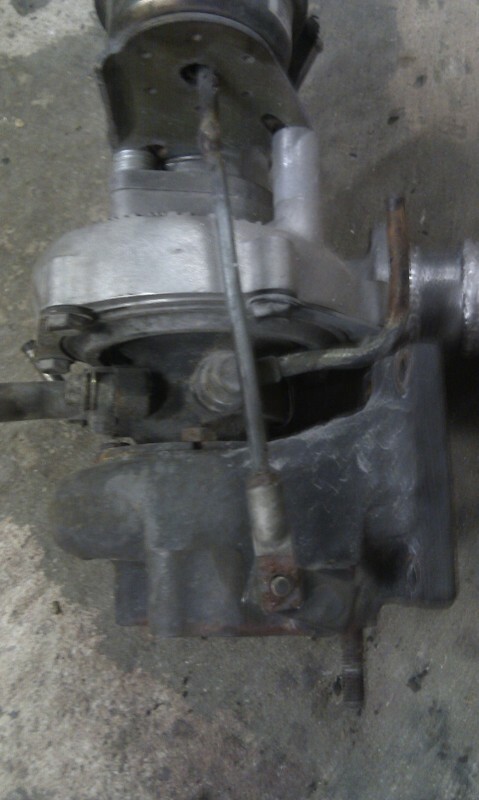 Also the little arm on the turbo needs to be cut and welded on the other side so it still opens the correct direction. this picture should help. 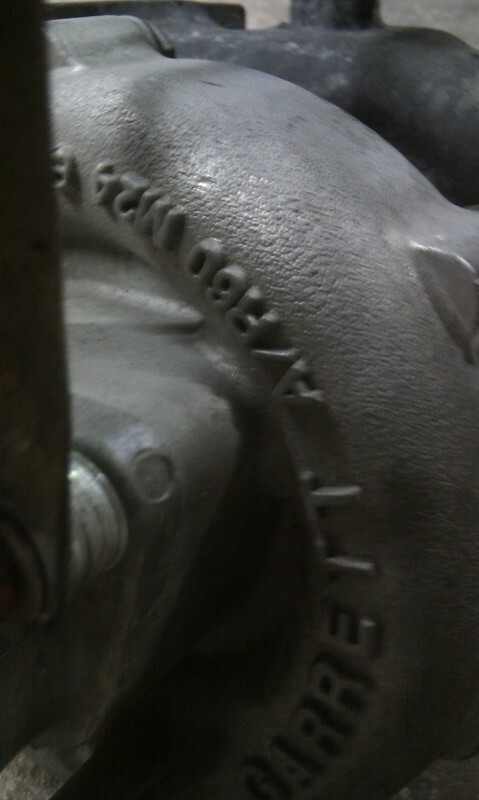 As you can see the arm on the turbo has been cut and welded so it can work backwards.